BONNE TERRE -- Charles Murdick, born April 6, 1939, left this Earth on February 2, 2019. As a son, husband, brother-in-law, father, father-in-law and grandfather. Charles had decided prior to passing that there be no memorial service. His loving family instead encourages anyone else who knew and loved Charles to donate to a preferred charity in memoriam. 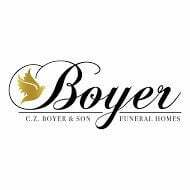 Services are under the direction of C. Z. Boyer & Son Funeral Home in Bonne Terre. View tribute and share condolences online at www.czboyer.com.